Occasionally, buying a new Chevy doesn’t make a whole lot sense for a particular customer. Whether it’s due to financial uncertainty or an unwillingness to keep the same vehicle for half-a-decade, you may find that there are actually more incentives that accompany a pursuit of a leased car. Often times, prospective car buyers tend to be focused on one particular buying route. In other words, they fail to recognize all of the benefits that a leased vehicle may offer. Besides the obvious monetary incentives, this route will also provide customers with unmatched flexibility and protections. If you’re skeptical about outright purchasing a vehicle, you should consider all of the incentives that accompany leasing a Chevy vehicle instead of buying a vehicle. This is a rather predictable incentive to pursuing a leased Chevy, but it’s still worth mentioning nonetheless. When consumers decide to pursue a lease deal, they’ll find that they’re saving a whole lot of money on their “new ride.” Primarily, these savings will be realized in the monthly savings, as a leased Chevy tends to be significantly less expensive than a new Chevy that’s been purchased outright. As a result, these consumers generally find that their monthly payments are nearly cut in half! Regardless of whether you’re operating on a tight budget, these savings tend to be too good to ignore. The savings don’t end there. Since you essentially aren’t purchasing the vehicle, consumers find that the impending down payments are significantly cheaper. Occasionally, dealerships will ignore these fees altogether, saving you a significant chunk of cash. Finally, if you’re going to require financing on the vehicle, you’ll find that interest rates will be significantly lower when you pursue a leased vehicle. Therefore, besides the obvious immediate savings, you’ll also be saving even more money in the long-run! Finally, as a result of these significant savings, you may be able to extend your search a bit. Normally, some vehicles may be out of your price range. However, when you consider the lower monthly payments, you may have the opportunity to opt for the car of your dreams. This certainly wouldn’t be possible if you were buying the car outright! For starters, it should be made abundantly clear that you can’t go around trashing your leased Chevy. If you return the vehicle to the dealership with an excessive amount of scratches or dents, there’s a very good chance that the business is going to charge you for the impending repairs. After all, the dealership still effectively owns the car, and they’ll surely charge you for any significant damage that goes beyond normal wear and tear. However, if your vehicle runs into any mechanical issues, there’s a good chance that the dealership will have your back. After all, most car brands (including Chevy) accompany their leased vehicles with a factory warranty. Therefore, if you come across any issues that are out of your control, you won’t be obligated to dig into your pockets and pay for the repairs. Rather, the dealership or the car brand will have you covered. In that case, you can expect to save some extra money in the long run. Are you the type of car owner who likes to swap out their current ride for a replacement vehicle every several years? Well, if you normally purchase a vehicle, you’ll usually have to deal with all of the hassles that accompany selling a car. You’ll learn relatively quickly how quick your vehicle’s value depreciated, and if you’re constantly pursuing a replacement, you’re truly not getting the best bang for your buck on the investment. Unless you have a lot of expendable money at your disposal, this isn’t a wise financial decision. However, when you lease a vehicle, you’ll have the chance to trade in your ride every several years. Therefore, if you find that you grow tired of a nameplate relatively quickly, there won’t be any significant monetary indiscretions by opting for a replacement. Instead, the dealership may recommend that you opt for an upgraded version of your current nameplate! Now that it’s clear that a Chevy lease deal is the proper choice, it’s time to find a dealership that will provide you with that opportunity. Well, if you live in the Albany, New York area, you won’t find a better choice than DePaula Chevy. The dealership doesn’t only provide their customers with an opportunity to lease a vehicle. Rather, they also offer these prospective buyers with a host of services, only emphasizing why customers should turn to them first. Regardless of whether you’re planning on leasing a vehicle or purchasing it outright, you’ll surely appreciate DePaula Chevy’s vast inventory. The dealership is fully stocked with a number of vehicles that could appeal to any type of car buyer, regardless of their budget. For instance, the dealership is currently housing more than 250 new vehicles, meaning customers certainly won’t be limited as they’re searching for their ideal target. Meanwhile, if you’re operating on a tighter budget, you’ll also appreciate the fact that DePaula has more than 200 used vehicles sitting on their lot. By targeting one of these specific rides, you’ll enjoy the vicarious savings that come from this purchase. Of course, it’s important to remember that not every used vehicle may be eligible for a lease deal, so it’s essential to keep that in mind if you aren’t planning on purchasing a ride. DePaula does a whole lot more than provide their customers with a place where they can purchase or lease a car. Rather, the dealership also offers prospective buyers with a long list of services, thus improving the entire leasing experience. For instance, the service department is in place to help fix up your vehicle as quickly as possible. The team of expert technicians specialize in Chevy vehicles, so you can always trust that your car is being serviced properly. Meanwhile, the finance department helps those customers who may have difficulties securing the line of money from a traditional source. The dealership will find a deal that works for both sides, and this will be reflected in your monthly payments. In other words, even if you’re skeptical about your financial ability to pursue a lease in the first place, you can trust in DePaula to find you a proper deal. While customers are surely focused on the financial implications of a car pursuit, they’ll also appreciate the convenience incentives that DePaula Chevy provides. Specifically, the flexible hours mean customers will never have to shift around their schedule in order to visit the premises. Rather, the sales department is open from Monday through Saturday at 8:30 am each day, providing customers with plenty of instances to visit the premises. Meanwhile, the service department is open on Monday through Friday, including starting at 7 am during the workweek (8 am on Saturday). In other words, you’ll never have to miss any work time in order to get your vehicle back up to working order. 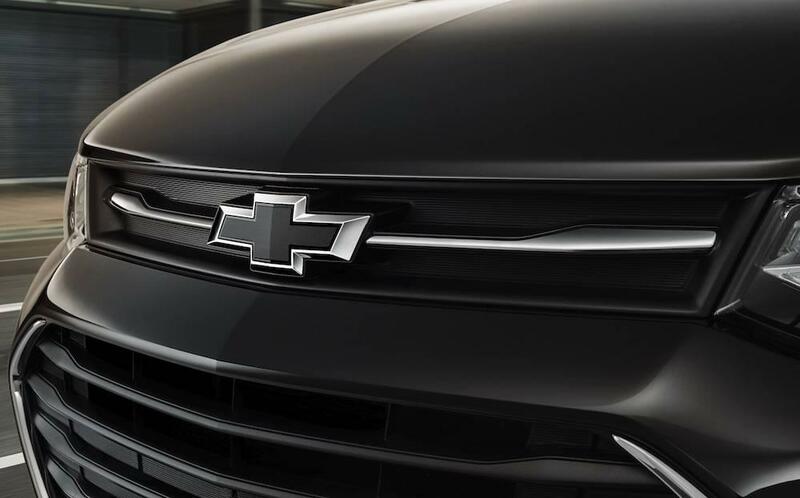 Treat yourself to cutting-edge Chevy innovation and take advantage of our Chevy lease deals today.